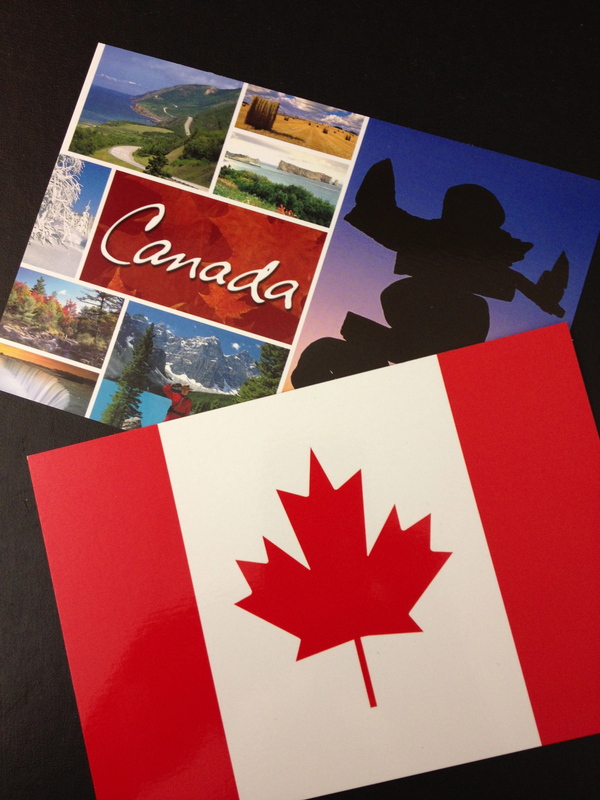 Postcards I purchased at the Duty Free. Thursday morning dawned sunny and warm; and found me packed and headed into the unknown in more ways than one. I experienced both trepidation and hope for what was to come. My first unknown: What did I get myself into? I was recently asked to serve on a board for a Non-Government Organization called World Renew. Before being asked to volunteer my time in this capacity, I didn’t know anything about the organization. After much consideration and a little research I agreed to participate, acting in faith. My Second unknown: Where am I going? The board’s annual meeting was being held in Schomberg, Ontario, just outside of Toronto. Thus, my first ever trip across international borders: Canada. 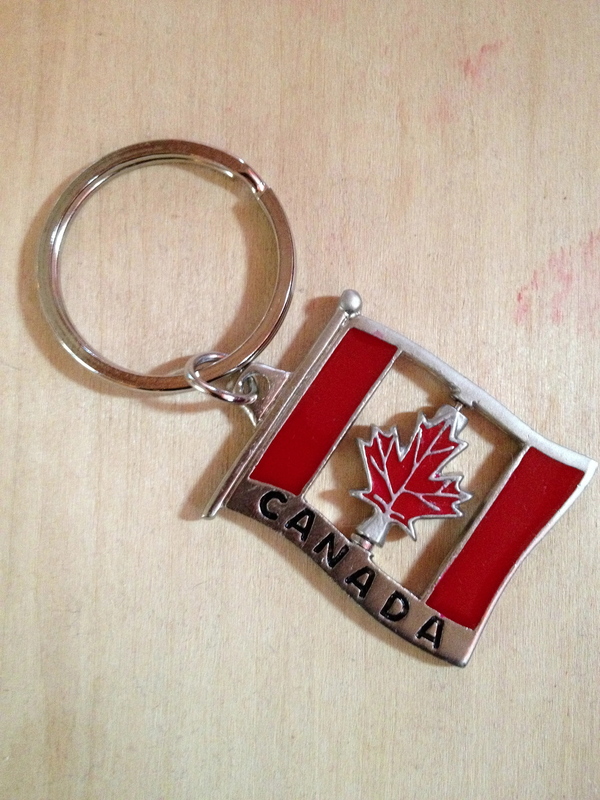 I didn’t know much about the country but the name conjured images of a red and white flag, maple syrup and Mounties. 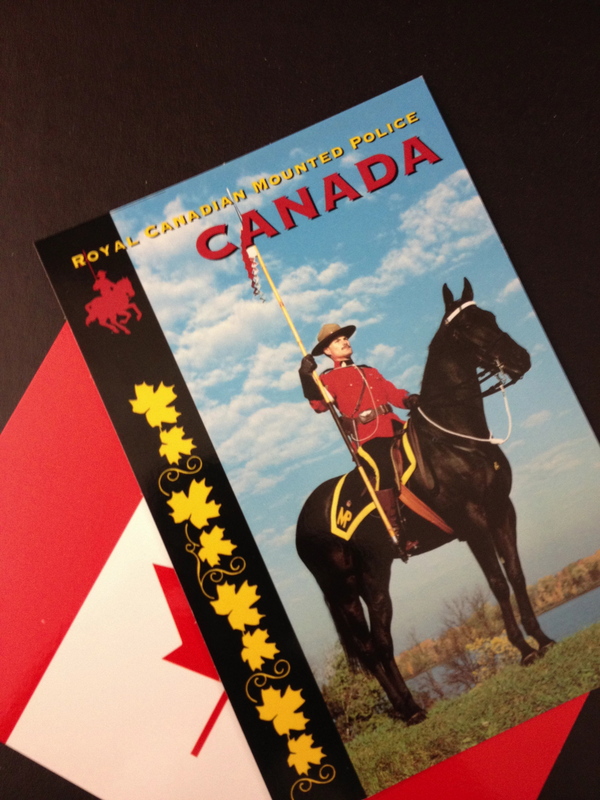 Now I have to say that my mental picture of Mounties is of Dudley Do Right of Rocky & Bullwinkle Show fame. Not, I am sure, what Mounties are really like. Sorry my Canadian friends for my ignorance. I must say that like traveling for work all of my time was scheduled so I didn’t see much of the place I visited. Despite the limited sight seeing … this is my adventure. We drove the 7 or so hours north in beautiful weather; watching new spring green roll by, interrupted occasionally by bodies of dark shiny water. The thrum of the tires was peaceful in the midst of the getting-to-know-you chatter. Tucked in the seats of a 15 passenger van with 6 strangers, the forced companionship is taxing for the introvert in me. But, by the end of the trip I was grateful to get to know everyone. We stopped and ate lunch at Mr. Sub. It was delicious. My soda pop was served in the can instead fountain style which was an oddity for me. And I never made it to Tim Horton’s. Then we cruised through the city on the way to the Cedar Glen YMCA where we stayed. I noticed that the houses were so close together compared to the sprawling neighborhoods you see in the U.S. So close, in fact, it looked like you could reach out one open window and knock on the window of the next brick clad structure. And they were HUGE at least to me. One of my traveling companions labeled these Canadian subdivisions: McMansions. Keychains I gave the dudes. My apologies because I forgot about roaming and didn’t take a regular camera so I don’t have any pictures from the trip, but it was beautiful. As a side note this meant I was disconnected in a way I’m not used to. I digress … back to the unknowns. I still feel like I know little of Canada but feel like I know more about World Renew and what they do. I left feeling overwhelmed with information and the passion of the individuals I met. Their zeal overshadowed mine. I felt like an “undecided: or “undeclared” college major; student still seeking. This is something I will grow into. As unknowns become known, I continue to wonder: What did I get myself into? Yet, I remain hopeful. Likewise: Where am I going, has become metaphorical instead of literal. I am on a journey. Trepidation lingers. And I pray that I serve well and that the world will be made better with the work I do here. What moments in life caught you by surprise and found you going down a path you didn’t expect?